Cristina Bowerman's stunning smoked duck breast salad is a riot of unusual flavours. 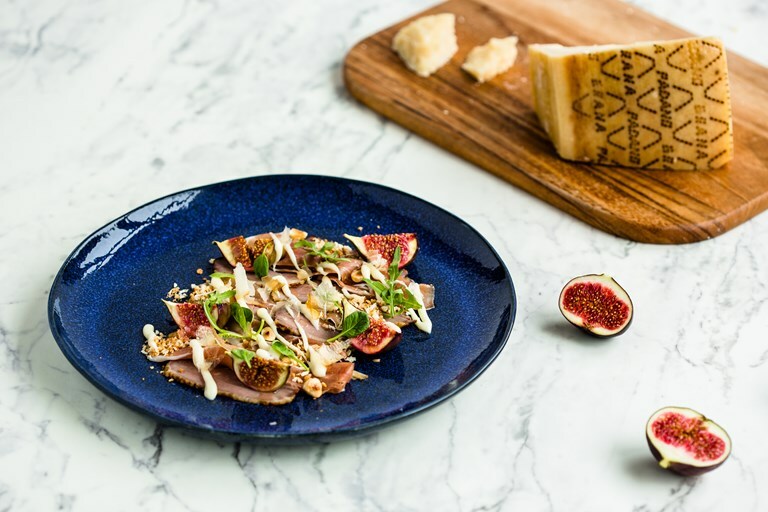 The smoked duck is drizzled with a rich Grana Padano sauce, with plenty of contrasting textures on offer from soft, sweet figs, crunchy hazelnuts and toasted breadcrumbs. Bonito flakes add an extra umami element to the dish.